E1, H2 and G3 are made of a high-quality nickel-plated steel wire and are, additionally, coated with real gold. D4, A5 and E6 strings have a hexagonal tinned steel core and are wound with a gold-plated winding wire. 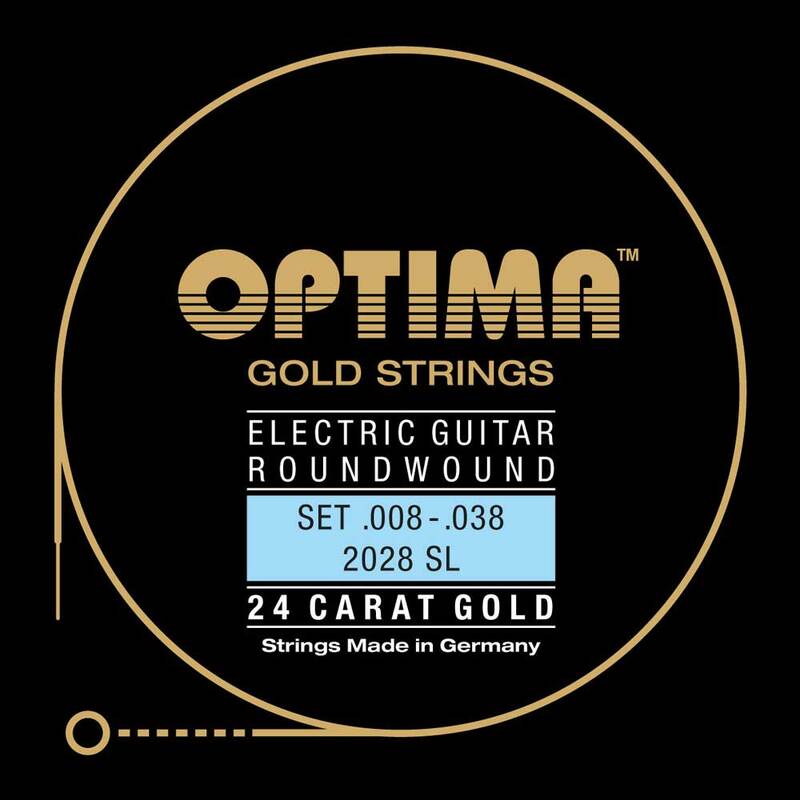 OPTIMA GOLD STRINGS - Probably the finest string in the world. Developed and handmade in Germany from the finest materials and for highest tonal demands. This series reflects the 90-year tradition of string manufacturing. The result is a string of unmatched premium quality. All strings arecoated with real 24 carat goldand are therefore completely insensitive to tarnishing or corrosion. Their durability is, compared to normal strings, up to three times higher and they are suitable for people allergic to nickel. GOLD STRINGS are characterized by a brilliant sound and the typicalSOUND OF GOLD, which also lovedFrank Zappa. And of course, alsoBrian May plays on his guitars OPTIMA GOLD STRINGS.